Meeting today’s numerous information security regulations is one of the most challenging and complex issues facing corporate IT today. The increased frequency of security incidents, including well publicized breaches, has resulted in new legislation at both the federal and state level. Fundamental to meeting these regulations, including the Gramm-Leach-Bliley Act (GLBA), the Health Insurance Portability and Accountability Act (HIPAA) and Sarbanes-Oxley are regularly scheduled risk assessments. Each of these regulations holds organizations accountable for the protection of private information and requires risk assessments as one component of an effective security program. Now, more than ever, organizations need a complete understanding of the impact of regulations on their core business and the need for third party risk assessments to comply with these regulations. When harmonized with security policy the most fiscally responsible and secure infrastructure is driven from the top with clear strategic justification, prioritization, and timing. 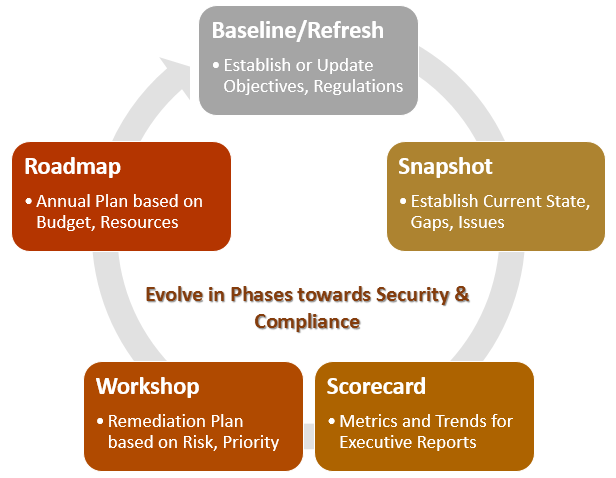 The first step in developing a proactive IT Security Governance program is the risk assessment. 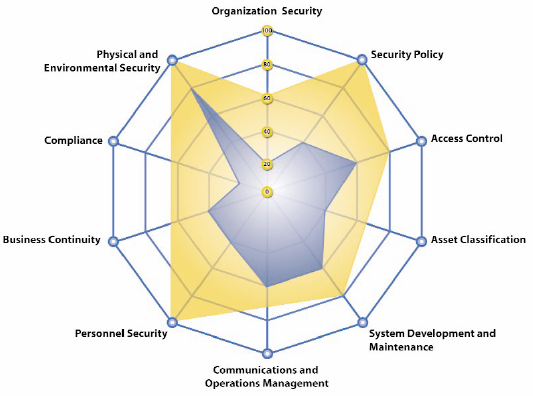 The risk assessment identifies and prioritizes risks to enterprises via networks and information systems. Risk assessment is the foundation for developing risk management strategies within an organization. Organizations should use a practical methodology which identifies the assets that support business operations, the vulnerabilities, and the threats to those assets. The information gathering process focuses on the three key risk components: assets, vulnerabilities, and threats. The approach is asset-centric, meaning the risk assessment begins with the identification of assets and the value/criticality of assets that are central to business operations. Threats which could impact these assets are identified and assessed. Finally, vulnerabilities that may be present on the asset controls are examined to determine the likelihood of impact. 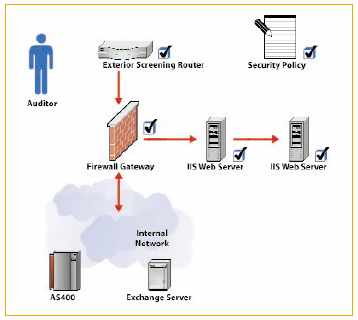 The information gathering phase typically consists of interviews with business managers and technical staff and review of documentation relating to information security and assets (including network topology). Technical vulnerability assessment results can be used to enhance the accuracy of initial risk assessment results, leveraging Common Vulnerabilities & Exposure CVE) together with the Common Vulnerability Scoring System (CVSS). 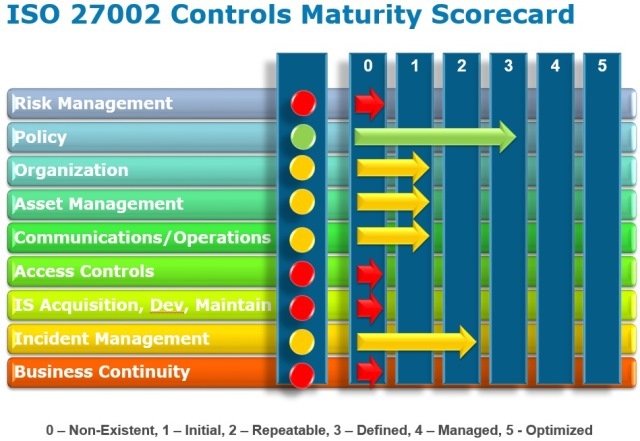 The goal of a risk assessment is to identify the risk to critical business operations. The first step in the risk assessment is to identify the assets that support critical business operations. These assets could include physical and logical assets such as data center systems, employee computers, network communications devices and channels, remote work areas such as employee’s home computers, customer data, employee data, and intellectual property. Questions during the interview also focus on how the information technology assets are utilized by all types of system users – administrators, customers, employees, etc. This allows a profile to be built of Application Roles and Relationships and User Roles and Relationships. Assets are then ranked based on their value to operations. Catastrophic – catastrophic failure is possible if the asset is destroyed / compromised. Critical – the asset is considered “mission critical” to business operations. Marginal – the asset marginally affects business operations; some degradation of service is likely if the asset is destroyed / compromised. Negligible – destruction / compromise of the asset will have a negligible effect on business operations. 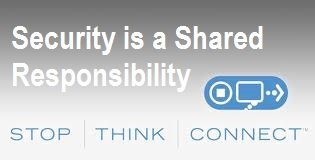 Threats cannot impact assets unless the assets are vulnerable to the specific threats. Security mitigating controls may be in place, reducing the likelihood of a threat exploiting a given asset. Understanding the types of vulnerabilities that exist on critical assets is a key step in the risk assessment. Preventative measures reduce the likelihood of exploitation. 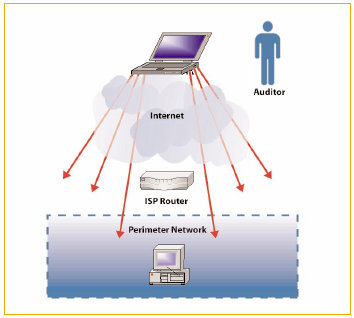 The ability to detect and respond to incidents allows an organization to minimize losses in the event of exploitation. Furthermore, effective detection and response provides a deterrent to exploitation attempts. High – vulnerability which allows threat to control/destroy an asset. Medium – vulnerability which allows threat to compromise/access an asset. Low – vulnerability which provides threat information which could be used to compromise an asset. 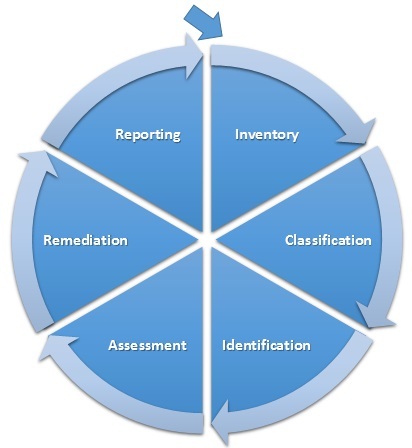 For each critical asset identified during the asset identification phase, identified vulnerabilities are noted and classified. The more accurate the vulnerability assessment, the more accurate the risk assessment will be. The assets and threats that support and impact business operations tend to change much less frequently than the vulnerability analysis. New vulnerabilities, changes in technology, and user/administrator introduced issues all contribute to a dynamic vulnerability environment. Areas identified through this high level vulnerability assessment are candidates for a detailed, technical assessment. Threats are individuals, groups, or external events which can impact assets. Threats can take many forms, including people (such as insiders or Internet users), technology (such as worms or Trojans), and events (such as flood or fire). The project team works with the enterprise to identify the threats that may impact identified assets. To ensure that all credible threats are considered maintain a list of various threat types. 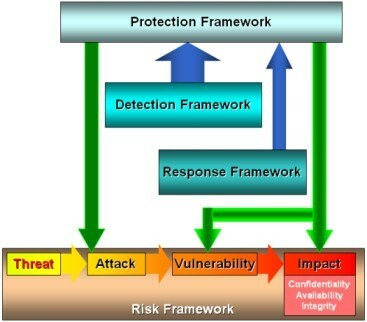 The scenarios listed above can only happen if a threat impacts an asset that has a vulnerability. However, understanding how the threats might impact an enterprise’s business is an important step in the process. The output of this stage is a ranking of threats based on their prevalence. Prevalence is a measure used to indicate if a particular threat has the capability and motivation to impact each asset. Capability and motivation are important attributes of threat. Threats need both attributes to be credible. For example, consider the scenario when the threat is an Internet attacker and the asset is an e-commerce server connected to the Internet. The attacker has motivation in the form of monetary gain and capability via hacking skills. Each identified asset is analyzed based on the threats that have the ability to affect them, and each threat is ranked based on prevalence. The results of threat modeling are recorded. The asset and threat information collected thus far provides possible impacts to the business. However, the likelihood of these impacts cannot be determined without the final component of the risk assessment, which is the vulnerability assessment. The results of the information gathering phase is a collection of data which represents the assets critical to business operations, the threats that may impact those assets, and the vulnerabilities resident on those assets. Risk is present when critical assets, credible threats, and existing vulnerabilities are present. As the goal of the risk assessment is to identify and prioritize risk to guide the formulation of security strategies, focus on a qualitative risk assessment rather than attempting to assign monetary values to potential losses. It is more practical to use this approach because of the limited data available on likelihood and costs and the difficulty in accounting for liability such as the loss of consumer confidence. Through a strategic approach to Risk Assessment, this process enables organizations to optimize their security investments and proactively protect their most important information assets from potential threats. When you protect the right assets from the right threats with the right measures, you maximize your security ROI. 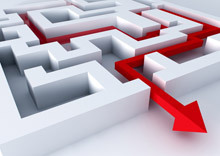 With initial coordinates established develop your security roadmap. After ascertaining risk within the environment, the next step is to develop strategies to manage that risk. 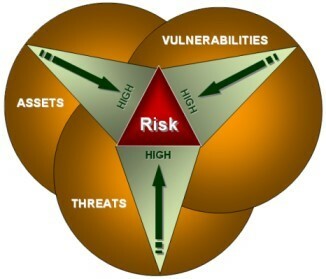 Risk exists due to the convergence of assets, threats, and vulnerabilities, and accordingly mitigating controls which reduce one or all of these factors will reduce the overall risk to the organization. Focus on strategies that maximize return on security investment (ROSI) – strategies that result in the maximum reduction in risk for the minimum security investment. Risk Acceptance – Risk is accepted. Certain risk is cheaper to accept than fix. There is a point of diminishing returns with security spending versus return. Risk mitigation remains the most common security Risk Management strategy because much of the risk associated with security cannot be transferred or avoided – it must be reduced. Strategies are prioritized based on the amount of risk reduction they produce, and the relative cost. The results are documented in the security roadmap action plan. 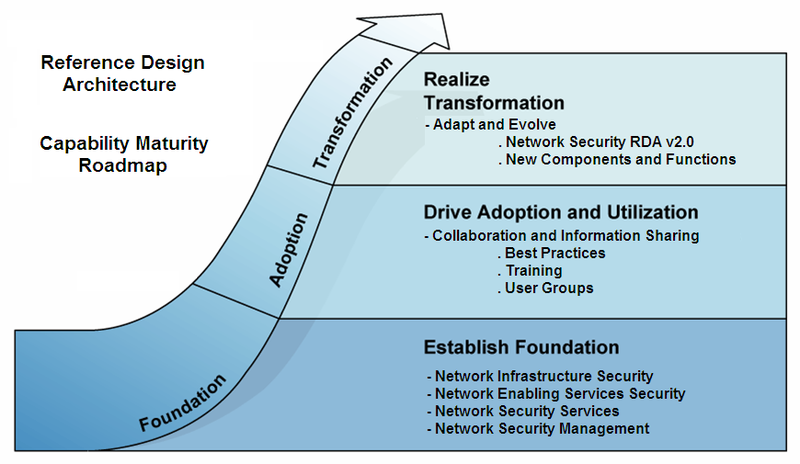 In a future blog we will discuss more about developing a Reference Design Architecture that aligns with improving Security Capability Maturity and evolves as part of the Adaptive Security Architecture Lifecycle. Many companies have the notion that “once secure, always secure.” But this head-in-the-sand attitude could be detrimental to the health and security of your business. The reality is that security incidents are on the rise, and attackers are more sophisticated and better financed than ever before. Your company might already be a victim, and you don’t even know it. Organizations should seek 3rd party independent and objective validation via regular security assessments, such as a Security Health Check. The main goal of a Security Health Check is to help avoid security compromises on hosts and network environments. It is an assessment-only project which provides recommendations, no changes in the environment are ever made. A Security Health Check enables organizations to obtain an accurate representation of the security posture and develop a customized security baseline. The baseline should be used in a cyclic and iterative process to evolve towards becoming more secure and thus compliance with associated policy and regulatory requirements. Security is a process not a destination. There are two key yet highly complementary approaches to network security testing: the “black-box” zero-knowledge external penetration study and the “white-box” onsite security vulnerability assessment. 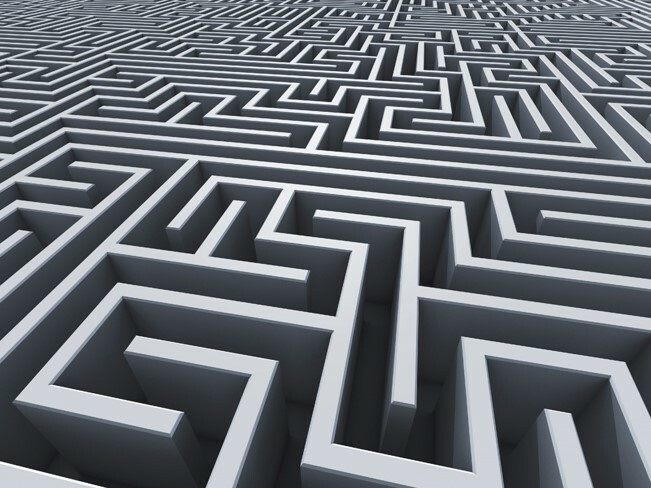 In the “white-box” approach, 3rd party consultants validate your company’s security policy, review the design and implementation of internal security controls, network security perimeter, defense-in-depth strategy, and determine common vulnerabilities and exposures from an internal perspective. The consultants determine possible attacks against your environment and identify security problems and process maturity. 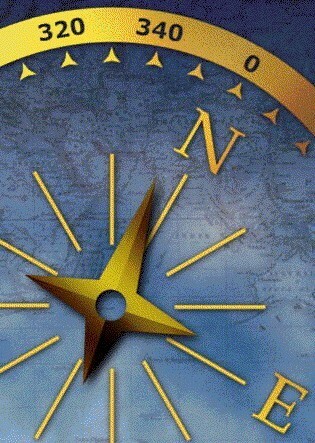 In the complementary “black-box” approach, the consultant operates knowing only the name and address of your company. The team will identify, scan, and probe your network security perimeter for common vulnerabilities and exposures, much as a hacker would. The external penetration study provides real-world attack experience utilizing commonly used hacker scanning, manual techniques and attack tools to determine security exposures and vulnerabilities. 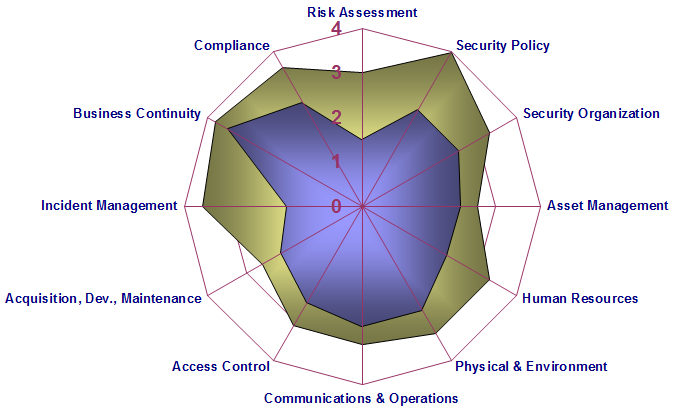 A Security Scorecard should consist of detailed penetration study and security assessment reports together with executive summary slides. This package presents the findings and recommendations on identified Common Vulnerabilities and Exposures (CVE), regulatory and standards compliance gap matrices, and provides custom best-practices-based security strategy and summary scorecards. The collaborative workshop provides the opportunity onsite to review, validate, and prioritize the findings, and discuss methodology, best practices, and strategy recommendations to create an action plan. These results facilitate development of a comprehensive yet improving security program and annual lifecycle process. The workshop can often include security training on the techniques used by attackers to map, probe, and scan computers from the Internet or to increase user awareness and education.